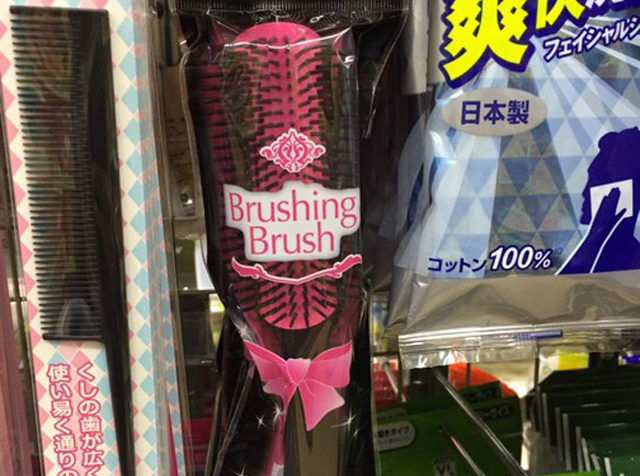 Japan has begun selling brushes throughout the Kanto Region for the explicit purpose of brushing. Producers of the brushing brush, Manufacturing Manufacturers Pty. Ltd., say the “brushing brush has been warmly received by consuming consumers”. “By clearly pointing out on the package exactly what our product does, we have enhanced consumer satisfaction,” says Manufacturing Manufacturers Pty. Ltd. CEO Yoshi Yoshimoto. “We have already received countless rave reviews from buying buyers,” says Yoshi Yoshimoto. “Finally I can buy a brush that serves my specific needs,” says 28-year-old Bryony Patterson. Manufacturing Manufacturers Pty. Ltd. are looking to expand their market share through similar products such as whistling whistles, locking locks, and vacuuming vacuums.